TS2GUSDC BMZ 2GB 8p MSD Micro Secure Digital Bulk..
TS2GUSD BMZ 2GB 8p MSD r20MB s Micro Secure Digital with Adapter Retail..
TS-RDP5K CAF 0MB USB 2.0 TF SD MMC M2 Flash Memory Card Reader Retail.. Transcend Information USB 3.0 Card Reader (TS-RDF5K)..
Ultra Small Flash Memory card reader USB 3.0 interface for SDHC (UHS-I) SDXC (UHS-I) microSDHC (UHS-I) microSDXC (UHS-I) without need for adapter - no external power or battery needed and plugs directly into USB port 56mm (L) ..
Ultra Small Flash Memory card reader 480Mb s USB 2.0 compatible with all SD SDHC MMC MMCMobile microSD microSDHC M2 without need for adapter and miniSD miniSDHC with adapter - no external power or battery needed and plugs directl..
TS-RDF5K CYA 0MB USB 3.0 SDHC SDXC microSDHC SDXC UHS-1 Flash Memory Card Reader r90MB s w60MB s Black w Cap Retail..
TS0MCF2PC CGI 0MB PCMCIA (Type II) to CompactFlash (Type I) Adapter Retail.. Transcend 32GB JetFlash 710 USB 3.0 Flash Drive (TS32GJF710S).. Flash Memory card reader USB 2.0 interface for CF (CompactFlash Type I) SD (Secure Digital) SDHC (Secure Digital High Capacity) SDXC microSDHC microSD TransFlash MMC (MultiMediaCard) MMCplus RS-MMC MMCmobile MS (Memor.. Flash Memory card reader USB 3.0 interface for SDHC (UHS-I) SDXC (UHS-I) MicroSDHC M2 MS (MSXC) CF (UDMA6 UDMA7) - no external power or battery needed and plugs directly into USB port 67.6mm (L) × 45mm (W) × 15.2mm (H) 32 gr..
TS-RDF8K CYA 0MB USB 3.0 r130MB s w95MB 2 (14-in-1) to Flash Memory Card Reader Retail..
TS8GSDHC10I CUB 8GB 9p SDHC Class 10 Industrial Grade Secure Digital High Capacity Card Bulk..
4GB CF 50-pin up to 50MB s Read and 20 MB s Write speeds 3.3V and 5V dual voltage support 42.8mm x 36.4mm x 3.3mm Op. Temperature -25°C(-13°F) to 85°C(185°F) CompactFlash Type I Memory Card for digital cameras video cameras m..
8GB Industrial SD 9-pin up to 19MB s Read and 16 MB s Write speeds 2.7V to 3.3V voltage support 24mm x 32mm x 2.1mm SD Secure Digital Card for for Industrial use using MLC NAND with High Operating temperature range Op. Temp.(â„ƒ.. Transcend TS-RDP5K USB2.0 Compact Card Reader - Secure Digital High Capacity (SDHC) Secure Digital (SD) Card MultiMediaCard (MMC) MMCplus MMCmobile RS-MMC microSD High Capacity (microSDHC) microSD TransFlash Memory Stick.. Transcend RDF5 Flash Card Reader - SDXC SDHC microSDXC microSDHC microSD SD TransFlash - USB 3.0External TS-RDF5K [discounted].. Transcend 64GB JetFlash 790 USB 3.0 Flash Drive (TS64GJF790K).. 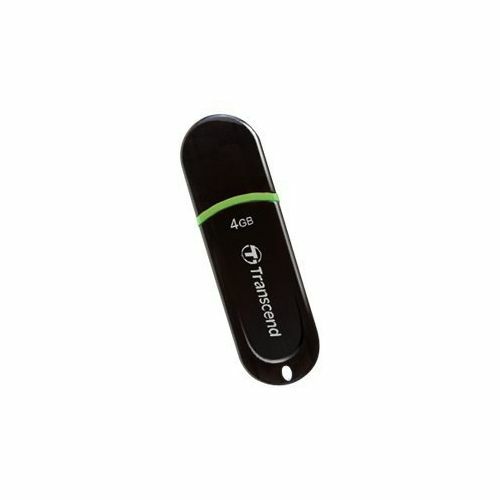 Transcend 4GB JetFlash 300 TS4GJF300 USB2.0 Flash Drive - 4 GB - USB 2.0.. Transcend 8GB JetFlash 300 TS8GJF300 USB2.0 Flash Drive - 8GB - USB 2.0 [discounted].. Transcend 4GB JetFlash 500 USB 2.0 Flash Drive - 4 GB - USB - External TS4GJF500.. Transcend 16GB JetFlash 590 USB 2.0 Flash Drive - 16GB - USB 2.0 - Red - Retractable Capless LED Indicator TS16GJF590K [discounted].. Transcend 4GB JetFlash 700 USB 2.0 Flash Drive - 4 GB - USB 3.0 - Black TS4GJF700.. Transcend 8GB JetFlash 590 USB 2.0 Flash Drive - 8 GB - USB 2.0 - White TS8GJF590W.. Transcend 4GB JetFlash 600 USB2.0 Flash Drive - 4GB - USB 2.0 - Black TS4GJF600 [discounted].. Transcend 4GB JetFlash 620 TS4GJF620 USB 2.0 Flash Drive - 4 GB - USB 2.0.. Transcend 16GB JetFlash 560 USB 2.0 Flash Drive - 16 GB - USB 2.0 - Black - 1 Pack TS16GJF560.. Transcend 16GB JetFlash 790 USB 3.0 Flash Drive - 16 GB - USB 3.0 - Black Blue - Retractable Capless TS16GJF790K..
16GB Industrial SD 9-pin up to 19MB s Read and 16 MB s Write speeds 2.7V to 3.3V voltage support 24mm x 32mm x 2.1mm SD Secure Digital Card for for Industrial use using MLC NAND with High Operating temperature range Op. Temp.(â„.. 256MB Industrial CF 50-pin up to 42MB s Read and 40MB s Write speeds 3.3V and 5V dual voltage support 42.8mm x 36.4mm x 3.3mm CompactFlash Type I Memory Card for Industrial use using SLC NAND with High Operating temperature range..
TS8GCF133 CBK 8GB 50p CF 133x Transcend CompactFlash CBKd w Clam Retail..
TS1GCF133 CAY 1GB 50p CF 133x CompactFlash Card with Clam Retail..
TS256MCF220I DHS 256MB 50p CF 220x Industrial Grade Transcend CompactFlash Card Clam..
TS16GSDHC10I CUC 16GB 9p SDHC Class 10 Industrial Grade Secure Digital High Capacity Card Clam.. Transcend 16GB JetFlash 300 TS16GJF300 USB2.0 Flash Drive - 16 GB - USB 2.0.. Transcend 16GB JetFlash 350 USB 2.0 Flash Drive - 16 GB - USB 2.0 - Black - Password Protection TS16GJF350.. Transcend 16GB JetFlash 810 USB 3.0 Flash Drive - 16 GB - USB 3.0 - Green - Shock Proof Splash Proof Moisture Proof Dust Proof TS16GJF810.. Transcend OTG Card Reader - SD microSD SDXC SDHC microSDHC microSDXC - Micro USBExternal TS-RDP9K.. Transcend TS-RDP8K Multi-Card Reader - CompactFlash Type I Secure Digital (SD) Card Secure Digital High Capacity (SDHC) microSD High Capacity (microSDHC) microSD TransFlash MMCplus MultiMediaCard (MMC) RS-MMC MMCmobile .. Transcend All-in-1 Multi Card Reader - CompactFlash Type I CompactFlash Type II Microdrive Secure Digital (SD) Card miniSD Card miniSD High Capacity (miniSDHC) microSD microSD High Capacity (microSDHC) MultiMediaCard (MMC.. Transcend 16GB JetFlash 730 USB 3.0 Flash Drive - 16GB - USB 3.0 - White - LED Indicator TS16GJF730 [discounted].. Transcend 4GB JetFlash 370 USB 2.0 Flash Drive - 4 GB - USB 2.0 - White TS4GJF370..
512MB Industrial CF 50-pin up to 42MB s Read and 40MB s Write speeds 3.3V and 5V dual voltage support 42.8mm x 36.4mm x 3.3mm CompactFlash Type I Memory Card for Industrial use using SLC NAND with High Operating temperature range.. Transcend 64GB JetFlash 710 USB 3.0 Flash Drive (TS64GJF710S).. Transcend 16GB JetFlash 700 USB 2.0 Flash Drive - 16 GB - USB 3.0 - Black TS16GJF700.. Transcend 16GB JetFlash 710S USB 3.0 Flash Drive - 16 GB - USB 3.0 - Silver - Dust Resistant Shock Resistant Water Resistant Ergonomic TS16GJF710S.. Transcend 8GB JetFlash 500 USB 2.0 Flash Drive - 8 GB - USB - External TS8GJF500.. Transcend 8GB JetFlash 530 TS8GJF530 USB 2.0 Flash Drive - 8 GB - USB 2.0.. Transcend 8GB JetFlash 700 USB 2.0 Flash Drive - 8 GB - USB 3.0 - Black TS8GJF700..
8GB CF 50-pin up to 60MB s Read and 30 MB s Write speeds 3.3V and 5V dual voltage support 42.8mm x 36.4mm x 3.3mm Op. Temperature -25°C(-13°F) to 85°C(185°F) CompactFlash Type I Memory Card for digital cameras video cameras m.. Transcend Type-C Card Reader - SD SDHC SDXC microSD microSDHC microSDXC - USB Type CExternal TS-RDC2K.. Transcend 16GB JetFlash 750 USB 3.0 Flash Drive - 16 GB - USB 3.0 - Black - Lightweight Compact TS16GJF750K..
TS16GCF133 CBL 16GB 50p CF 50MB s 133x Transcend Compact Flash Card with Clam Retail..
TS512MCF220I DHT 512MB 50p CF 220x Industrial Grade CompactFlash Card Clam..
TS32GUSDHC10U1 CVL 32GB 8p MSDHC 600x Class 10 UHS-1 U1 Transcend Ultimate Micro Secure Digital High Capacity Card w Adapter Retail..
128MB Industrial CF 50-pin up to 42MB s Read and 40MB s Write speeds 3.3V and 5V dual voltage support 42.8mm x 36.4mm x 3.3mm CompactFlash Type I Memory Card for Industrial use using SLC NAND with High Operating temperature range.. Sporting A Classic Color Scheme In A Thin Yet Robust Design The Jetflash 350 37 TS32GJF370.. Transcend 32GB JetFlash 590 USB 2.0 Flash Drive - 32GB - USB 2.0 - Red - Retractable Capless LED Indicator TS32GJF590K.. Transcend 32GB JetFlash 760 USB 3.0 Flash Drive - 32 GB - USB 3.0 TS32GJF760.. Transcend TS-RDF9K Flash Reader - SD SDXC SDHC CompactFlash Memory Stick XC microSDHC microSDXC microSD Memory Stick - USB 3.1External.. Transcend 32GB JetFlash 530 TS32GJF530 USB 2.0 Flash Drive - 32 GB - USB 2.0.. Transcend 32GB JetFlash 330 TS32GJF330 USB 2.0 Flash Drive - 32 GB - USB 2.0 - White.. Transcend 32GB JetFlash 730 USB 3.0 Flash Drive - 32 GB - USB 3.0 - White - LED Indicator TS32GJF730..
1GB Industrial SD 9-pin up to 15MB s Read and 8 MB s Write speeds 2.7V to 3.3V voltage support 24mm x 32mm x 2.1mm SD Secure Digital Card for for Industrial use using SLC NAND with High Operating temperature range Op. Temp.(â„ƒ).. TS1GSD100I CQK 1GB 9p SD 100x Industrial Grade Secure Digital Card bulk.. Transcend 32GB JetFlash 810 USB 3.0 Flash Drive - 32 GB - USB 3.0 - Black Blue Green - Shock Proof Dust Proof Moisture Proof Splash Proof TS32GJF810.. Transcend 32GB JetFlash 360 USB 2.0 Flash Drive - 32 GB - USB 2.0 - Black Purple - Ergonomic Capless TS32GJF360.. Transcend 32GB JetFlash 790 USB 3.0 Flash Drive - 32 GB - USB 3.0 - Black Blue - Retractable Capless TS32GJF790K..
TS8GCF170 DHX 8GB 50p CF 170x Transcend Industrial Grade Compact Flash Card with Clam..
2GB Industrial SD 9-pin up to 15MB s Read and 8 MB s Write speeds 2.7V to 3.3V voltage support 24mm x 32mm x 2.1mm SD Secure Digital Card for for Industrial use using SLC NAND with High Operating temperature range Op. Temp.(â„ƒ).. TS2GSD100I CSC 2GB 9p SD 100x Industrial Grade Secure Digital Card Clam..
TS32GCF133 CHF 32GB 50p CF r50MB s 133x CompactFlash Card w Clam Retail..
32GB CF 50-pin up to 50MB s Read and 20 MB s Write speeds 3.3V and 5V dual voltage support 42.8mm x 36.4mm x 3.3mm Op. Temperature -25°C(-13°F) to 85°C(185°F) CompactFlash Type I Memory Card for digital cameras video cameras ..
TS1GCF220I DHU 1GB 50p CF 220x Industrial Grade Transcend Compact Flash Card Clam..
16GB CF 50-pin up to 160MB s Read and 70 MB s Write speeds 3.3V and 5V dual voltage support 42.8mm x 36.4mm x 3.3mm Op. Temperature -25°C(-13°F) to 85°C(185°F) CompactFlash Type I Memory Card for digital cameras video cameras ..
TS16GCF170 DHY 16GB 50p CF 170x Industrial Grade Compact Flash Card with Clam.. Transcend 64GB JetFlash 530 TS64GJF530 USB 2.0 Flash Drive - 64 GB - USB 2.0 - White.. Transcend 64GB JetFlash 590 USB 2.0 Flash Drive - 64 GB - USB 2.0 - Red - Retractable Capless LED Indicator TS64GJF590K.. Transcend 64GB JetFlash 700 USB 3.0 Flash Drive - 64 GB - USB 3.0 - Black - LED Indicator TS64GJF700.. Transcend 64GB JetFlash 790 USB 3.0 Flash Drive - 64 GB - USB 3.0 - White Blue - Retractable Capless Lightweight LED Indicator Compact Lanyard TS64GJF790W..
2GB Industrial CF 50-pin up to 42MB s Read and 40MB s Write speeds 3.3V and 5V dual voltage support 42.8mm x 36.4mm x 3.3mm CompactFlash Type I Memory Card for Industrial use using SLC NAND with High Operating temperature range- ..
TS4GMMC4 BSD 4GB 13p MMC Multimedia Plus Card Bulk RFB..
TS32GCF170 DBL 32GB 50p CF 170x Industrial Grade Compact Flash Card with Clam..
32GB CF 50-pin up to 160MB s Read and 120 MB s Write speeds 3.3V and 5V dual voltage support 42.8mm x 36.4mm x 3.3mm Op. Temperature -25°C(-13°F) to 85°C(185°F) CompactFlash Type I Memory Card for digital cameras video cameras.. Transcend 128GB JetFlash 700 USB 3.0 Micro USB Flash Drive (OTG) - 128 GB - USB 3.0 - Black TS128GJF700.. Transcend 128GB JetFlash 790 USB 3.0 Flash Drive - 128 GB - USB 3.0 - White - Capless LED Indicator Lightweight Splash Resistant Shock Resistant Dust Resistant Compact Lanyard Retractable TS128GJF790W.. 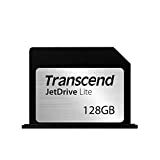 Transcend 128GB JetDrive Lite 360 Storage Expansion Card for 15-Inch MacBook Pro with Retina Display (TS128GJDL360)..
4GB Industrial CF 50-pin up to 42MB s Read and 40MB s Write speeds 3.3V and 5V dual voltage support 42.8mm x 36.4mm x 3.3mm CompactFlash Type I Memory Card for Industrial use using SLC NAND with High Operating temperature range- ..
64GB CF 50-pin up to 160MB s Read and 120 MB s Write speeds 3.3V and 5V dual voltage support 42.8mm x 36.4mm x 3.3mm Op. Temperature -25°C(-13°F) to 85°C(185°F) CompactFlash Type I Memory Card for digital cameras video cameras..
8GB Industrial CF 50-pin up to 42MB s Read and 40MB s Write speeds 3.3V and 5V dual voltage support 42.8mm x 36.4mm x 3.3mm CompactFlash Type I Memory Card for Industrial use using SLC NAND with High Operating temperature range- ..
128GB CF 50-pin up to 160MB s Read and 120 MB s Write speeds 3.3V and 5V dual voltage support 42.8mm x 36.4mm x 3.3mm Op. Temperature -25°C(-13°F) to 85°C(185°F) CompactFlash Type I Memory Card for digital cameras video camera..
16GB Industrial CF 50-pin up to 42MB s Read and 40MB s Write speeds 3.3V and 5V dual voltage support 42.8mm x 36.4mm x 3.3mm CompactFlash Type I Memory Card for Industrial use using SLC NAND with High Operating temperature range-..